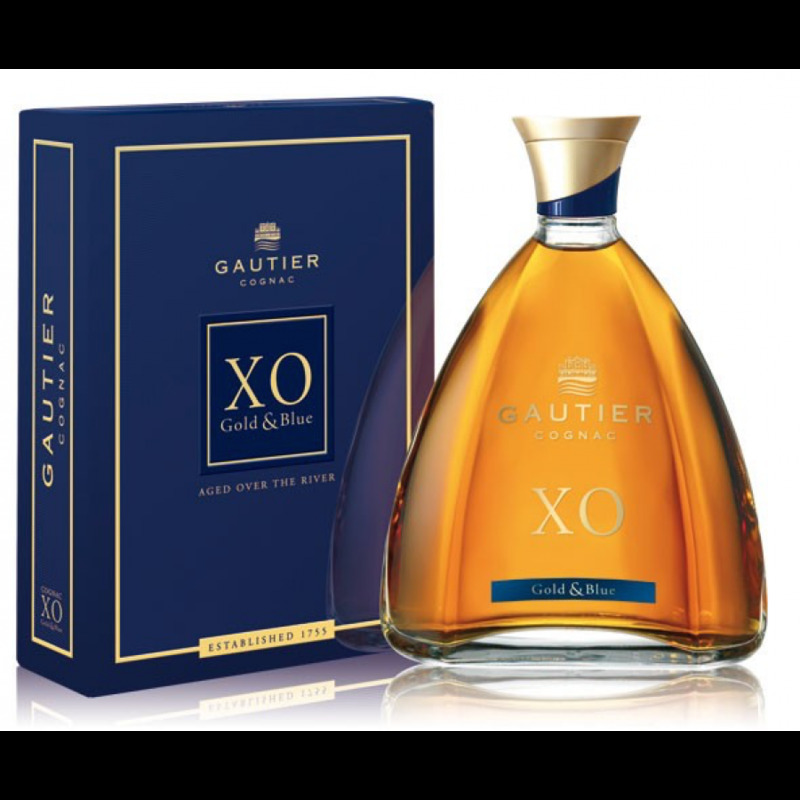 Gold stands for the sun and light like Gautier's XO Cognac - and blue, for the Maison Gautier on the river. This XO is a blend of very old eaux-de-vie, to give this Cognac its round, full body and typical Ŧrancioŧ. I agree with Rodolphe, and also it's totally tricky to USE the bottle! the cognac splashes our of the bottle, uncontrolled... not a good product I'd say. I tasted this cognac, also the Pinar Del Rio Cigar Cognac at http://www.cognac-expert.com/xo-cognac/gautier-pinar-del-rio-cigar-xo-cognacI think this gold &amp; blue xo is really bad.. there is far too much sweet stuff in the mouth, and then abruptly ends. If you like sugared brandy, you will love this one..